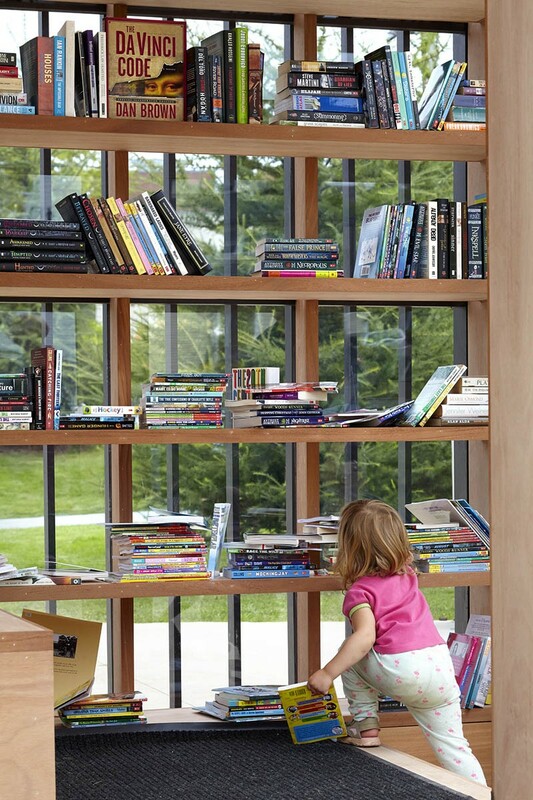 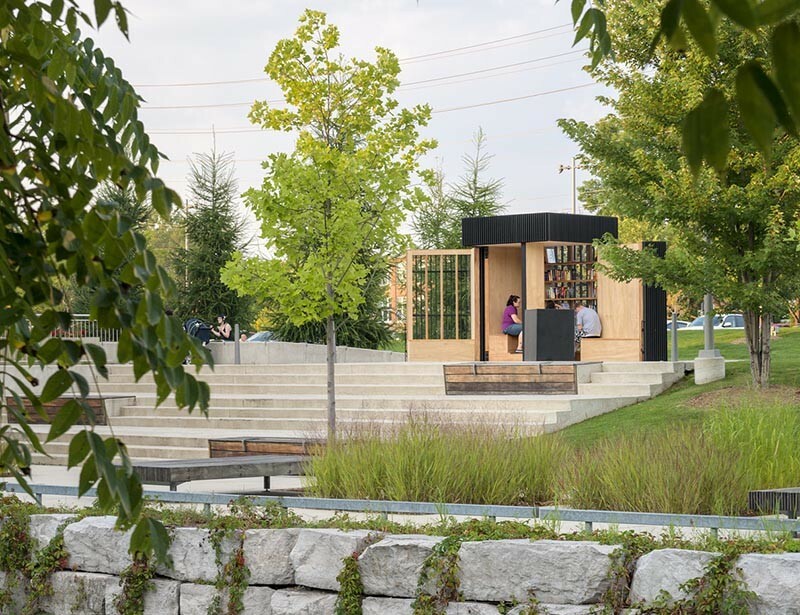 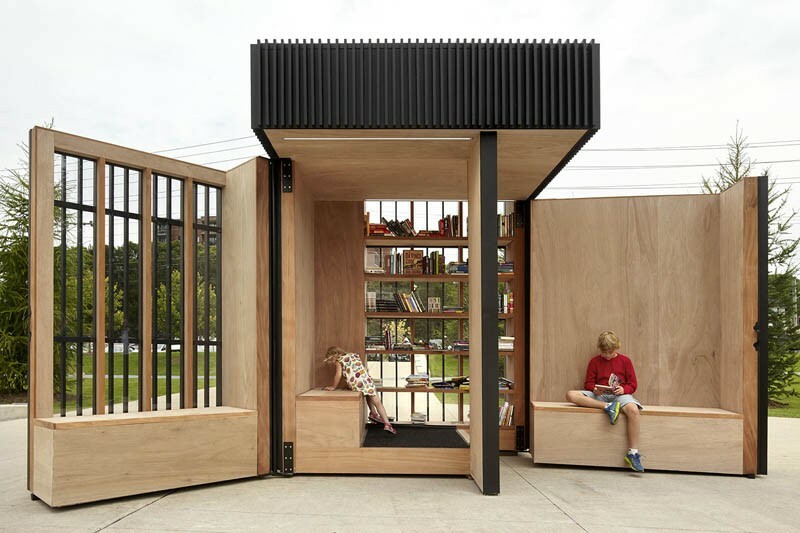 On the edge of a recently completed civic square for the Canadian town of Newmarket, Ontario, Atelier Kastelic Buffey (AKB) have designed the “Story Pod,” a free community-supported lending library that is open to everyone. 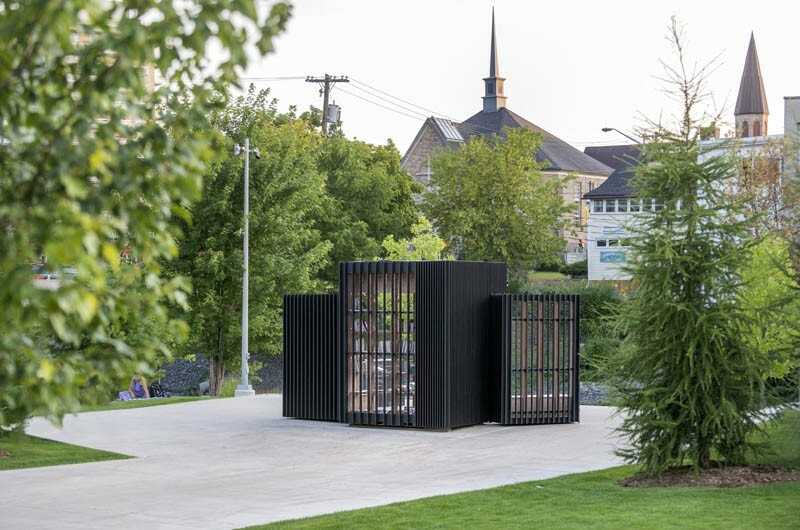 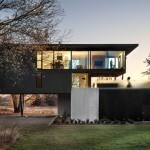 The black box with vertical slats has two walls that pivot open like the covers of a book, welcoming people inside. 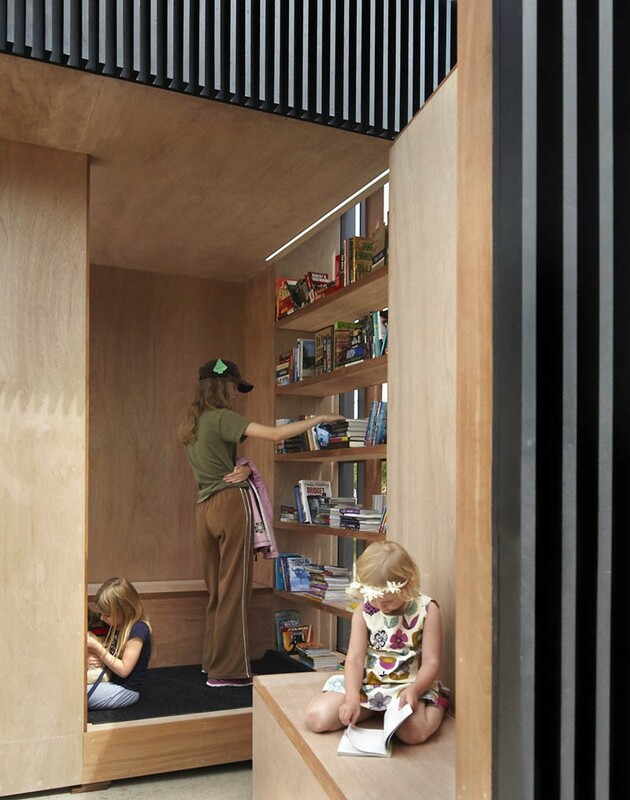 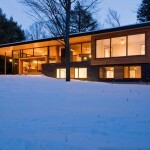 Visitors can take or leave any of the books, or lounge quietly on the built-in seating and read. 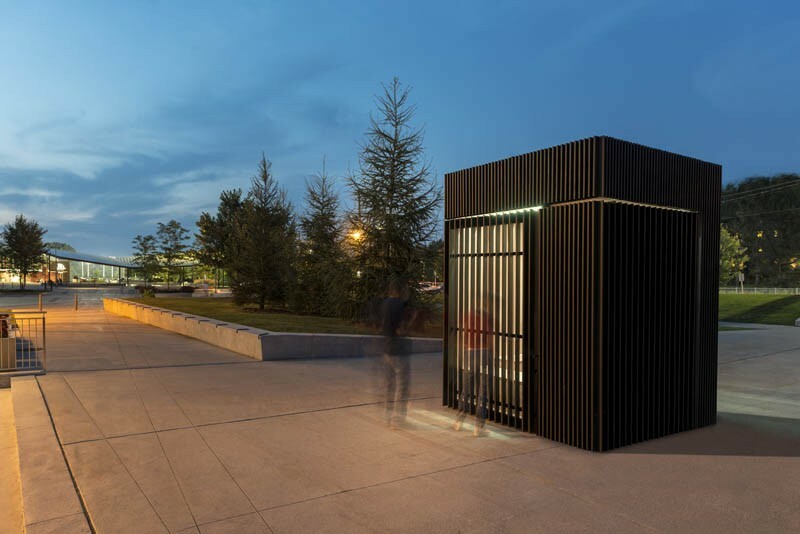 At night the doors are locked, and energy efficienct LED lights, powered by solar panels on the roof, glow through the vertical slats like a lantern.